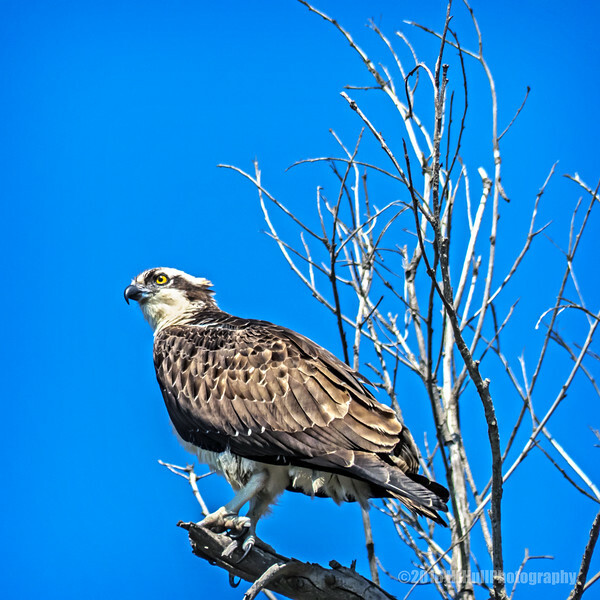 The osprey (Pandion haliaetus) — also called fish eagle, sea hawk, river hawk, and fish hawk — is a diurnal, fish-eating bird of prey with a cosmopolitan range. It is a large raptor, reaching more than 60 cm (24 in) in length and 180 cm (71 in) across the wings. It is brown on the upperparts and predominantly greyish on the head and underparts. Stumbled into your site today and really enjoyed looking around. I appreciate you take the time to identify animals/plants and provide information links. Great colors and composition ! Excellent capture of the osprey and the blue sky is a super backdrop!